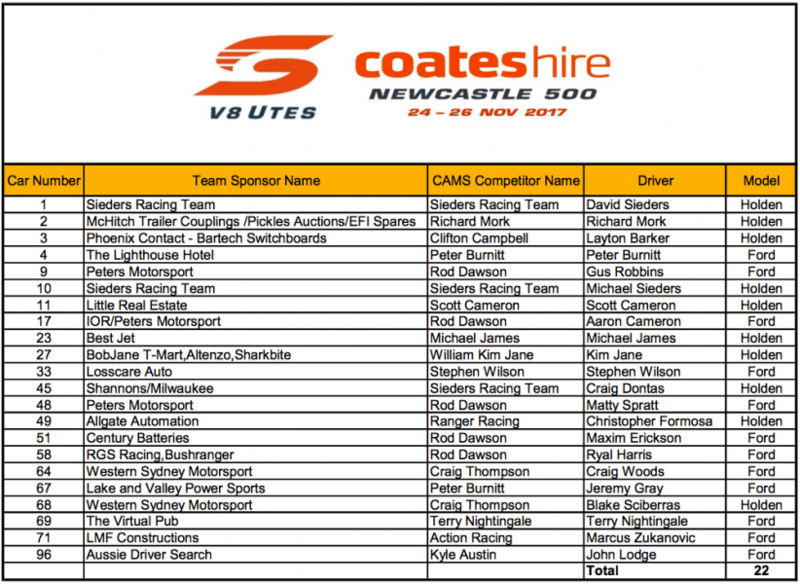 A capacity field will send off the Ford vs Holden Utes format in the final round of the ECB V8 Ute Racing Series in Newcastle next weekend. The 2017 season finale at the Coates Hire Newcastle 500 is also the last before the introduction of the new SuperUtes platform, which will debut at the Adelaide 500. Newcastle entries have been capped at 22 based on paddock considerations at the new venue, with a full field set to line up. 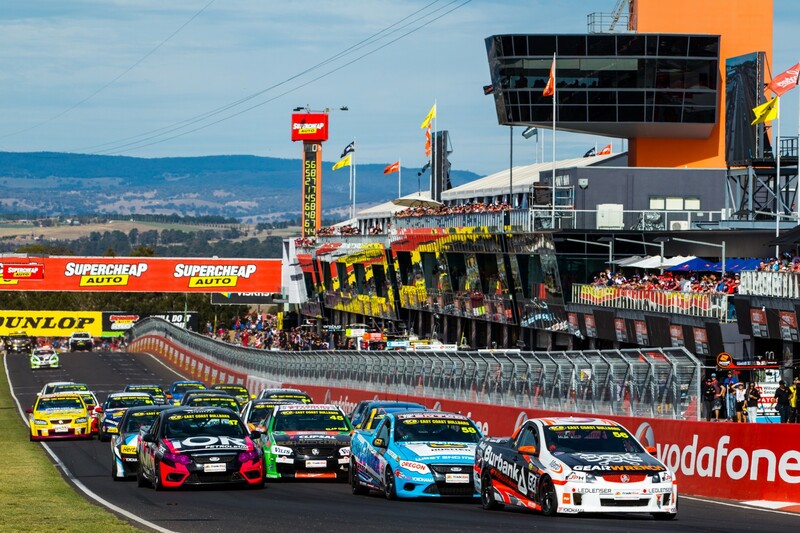 What was originally known as V8 Brutes started at the 2001 Clipsal 500, and has been a popular part of the Supercars support card for the last decade. Defending series winner David Sieders will make just his second start of the campaign in Newcastle in a Ford, while Terry Nightingale and John Lodge will be making their first in Fords. Sieders is one of three Utes series winners on the grid, along with 2006 victor Marcus Zukanovic and three-time title holder Ryal Harris. Ford driver Harris is vying for a fourth crown and will start the weekend with a 24-point lead over Kim Jane, the Holden mainstay chasing his first. Behind their battle, just three points separate Blake Sciberras and Matthew Spratt in the fight for third, with Zukanovic, Michael Sieders and Craig Woods also within range if they strike trouble. V8 Utes hit the track at 10:15am on Friday for practice, before qualifying on Saturday morning and the opening 11-lap race at 12:30pm. The final two races of the 2017 ECB V8 Ute Racing Series will be held on Sunday, at 8:25am and 12:15pm.